Before Andy, there was Tim. Before Murraymania, Henmania. They still call it Henman Hill. 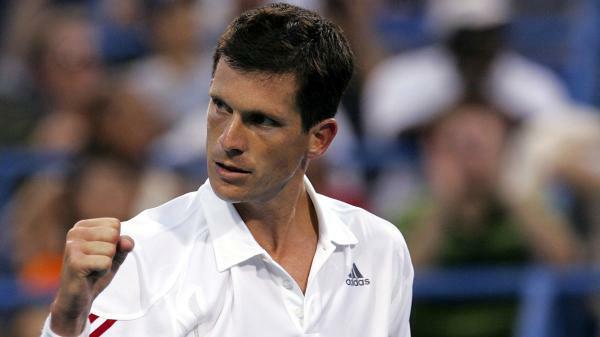 Now the retired former world No 4 is off to Mustique to offer half-term coaching for adults and kids visiting the exclusive Caribbean island. “Come on Timbo” will join you for six one-hour sessions, teaching you everything he knows – including, presumably, his trademark fist pump. Yes, it’s expensive. But reaching the semi-final of every tournament you subsequently enter should offset that. Feel we have a tendency to travel in a bubble these days? You’ll have a field day with this. 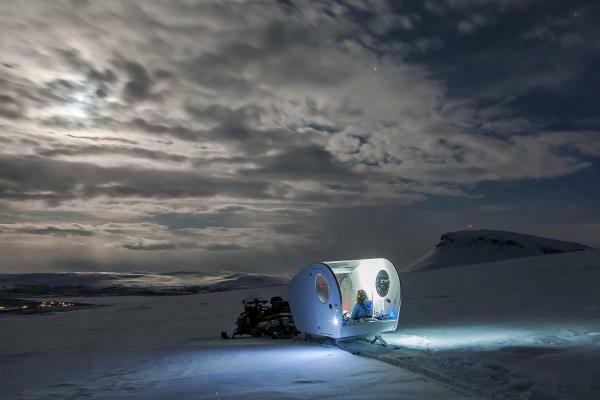 Off the Map Travel is introducing a snowmobile-towed bubble sled for clients to capture an unusual glimpse of the northern lights in Finland. The contraption is heated, fitted with beanbags and blankets, and accommodates two for an aurora borealis “hunting” expedition or a night in the Arctic wilderness. Note: the sled is see-through, so the northern lights might not be the only spectacle on offer this winter. A mainstay of middle-aged cruise-ship passengers could soon become the coolest way for hipsters to let off steam. 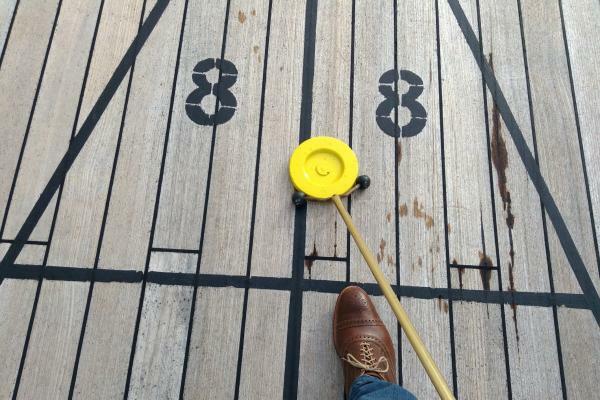 Try the game of shuffleboard — think curling without the ice — for yourself, without setting sail, at Britain’s first shuffleboard bar. It’s in London, in Shoreditch (where else? ), on a floor of the Old Truman Brewery, and will open on October 12. As well as eight shuffleboard courts, it will have two bars serving craft beers and cocktails, an Americana food court, and disco tunes. 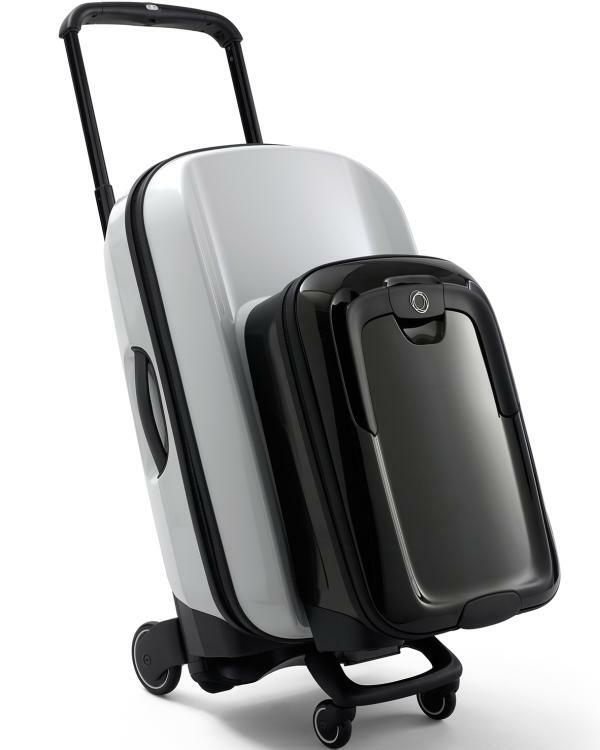 It has mastered the middle-class buggy — now it’s looking to corner the market in suitcases. The new Boxer, from Bugaboo, glides along like a dream, but the main selling point is its flashy modular structure: it turns your carry-on into a cling-on, attached, kangaroo-style, to the front of the main case. Other features include a wide-grip handle, a click-on, click-off laptop bag and a coat hook. Just don’t get confused and put your children in it. It’s the city that never sleeps. Fitting, then, that the latest New York tourist attraction requires you to get up at an indecently early hour (or perhaps just push on through). 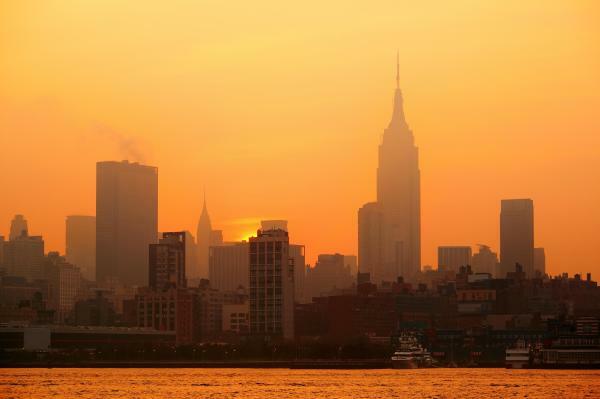 The Empire State Building is offering a limited number of visitors the chance to see in the dawn from its 86th-floor outdoor observation deck. The 1,454ft building will open 30 minutes before sunrise for just 100 people, who can pair their experience with a breakfast at the State Grill and Bar, downstairs in the lobby. Q I’ve driven my new spouse to the wrong airport for our honeymoon flight. What should I do? A Marriages are about trust, which is why you can’t possibly admit that you’ve monumentally stuffed up. So, lie. Extravagantly. Claim the airline has cancelled your flight, then set your forlorn partner up in a comfy spot just out of earshot and stride off, declaring your intention to “sort this shambles out”. You won’t be able to, of course. You’re just going to have to fork out for another flight — leaving, if you’re lucky, the following day. Take it on the chin and pay for a swanky nearby hotel and limitless cocktails? Or hang around the airport Costa, steadily losing the will to live? Here’s your chance to set the tone for the entire marriage.